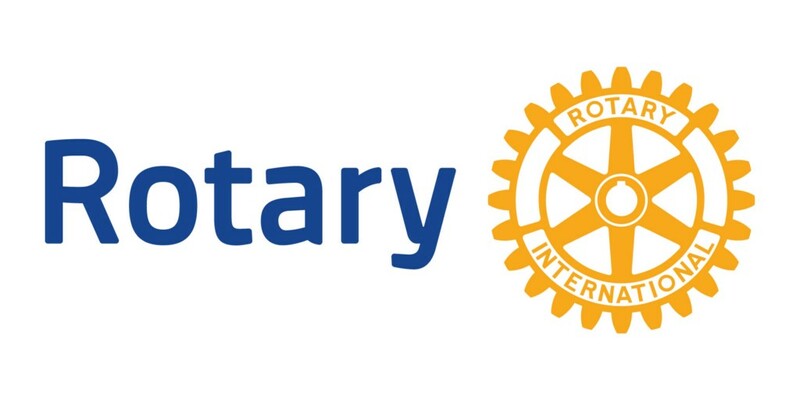 The Voorhees Breakfast Rotary Club is seeking nominations for its 10th Annual Voorhees Township Committee Service Awards Dinner. The event to be held on Jan. 24 at Lucien’s Manor in Berlin will honor recipients in four categories: Voorhees Business Person of the Year, Voorhees Citizen of the Year, Voorhees First Responder of the Year and Voorhees Selfless Student of the Year. 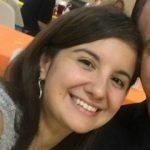 The Voorhees Business Person of the Year need not be a Voorhees resident, however does need to be selected based on accomplishments within the Voorhees business community only. The Voorhees Citizen of the Year must be a Voorhees resident, however contributions and impact to society need not be limited to Voorhees. The Voorhees First Responder of the Year does not need to be a Voorhees resident, but the individual’s service area must be primarily Voorhees. The Voorhees Selfless Student of the Year must be either a high school student residing in Voorhees or a student attending Eastern Regional High School. This award is given to a student representing service above self, kindness toward students in need and a positive role model for the concept of caring about others in the high school they attend. A nomination form can be found below. 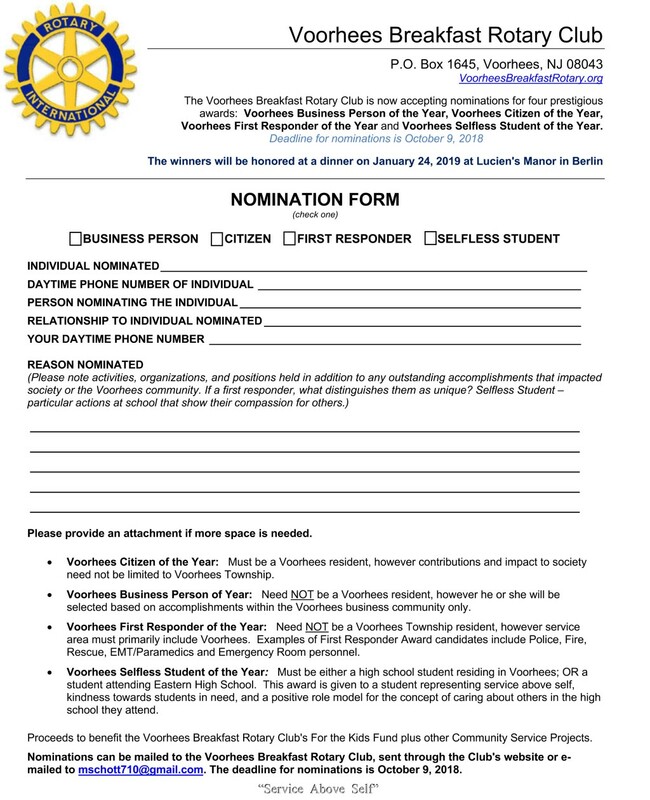 Nominations can be mailed to the Voorhees Breakfast Rotary Club, sent through the club’s website (VoorheesBreakfastRotary.org) or emailed to mschott710@gmail.com. Deadline is Oct. 9. The club is also looking for sponsors for its awards dinner. Three different types of sponsorships are available for the event, including Gold, Silver and Bronze level sponsors. A Gold Sponsor is for $1,500 which includes a full-page ad in the program book, 8 dinner tickets to the event (full table), inclusion in all press releases and special mention at the event and listing on the event banner. A Silver Sponsor is for $1,000 which includes a half page ad in the program book, 4 dinner tickets to the event, inclusion in all press releases and special mention at the event. A Bronze Sponsor is for $500 which includes a half page ad in the program book, 2 dinner tickets to the event, inclusion in all press releases and special mention at the event. All questions or further information can be directed to Committee Chair Mark Schott at mschott710@gmail.com or Nick Colanzi at (856) 435–6200.